Independence Day is gone, but a lot of people like myself enjoy firing up the good old BBQ grill to entertain family and friends all summer long at our own leisure. By the pool, at the park, or right out on the back porch, wherever you decide to get your grill on, make sure to be prepared. Here are a few pointers to help you maintain order and impress your guests the next time they swing by for a party. Summer time is here, so let’s get grilling! When making a list, always plan for leftovers. Chances are there won’t be any, because let’s face it, BBQ is just plain delicious. Don’t take the chance of running out before you even get done cooking. The grill master almost always eats last, so better safe than hungry. Flip your ribs back and turn your flames to low. Bring all the ribs down from the upper rack and commence the application of your favorite BBQ sauce. Not a fan of sauce? These bad boys will taste great plain as well, and let’s not forget dry rubs. 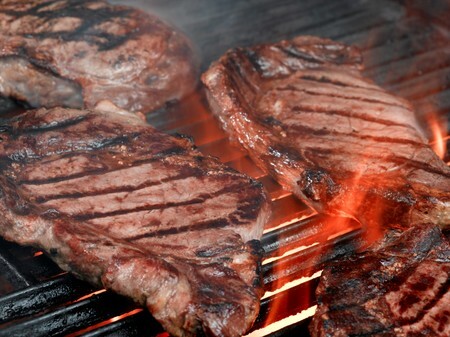 This is the final round of grilled meat to make your celebration a success, and with such impeccable timing, your steaks should be ready just as the sauce on the ribs thickens. Everyone’s grill operates a bit differently, so practice a few simple meals leading up to any sort of main event to make sure you are ready for the big show. All of us have our own favorites, and adding a personal touch to yours is highly encouraged. This basic set of guidelines is great for bringing everyone together without stressing the little details, and the plan is designed to allow every grill master more time to spend with friends and family.